Piper Communications was engaged to work with the Innov865 Alliance to coordinate a week-long event designed to showcase Knoxville as a destination for entrepreneurs to start and grow businesses. Innov865 Week has become an annual event. Piper worked with the Innov865 Alliance to achieve the week-long event’s objectives. Piper provided turnkey event support that included media relations, event logistics and planning, speaker preparation, material development, and overall marketing and promotion. Learn more about the Innov865 Alliance here and Innov865 Week here. More than 1,700 startups, entrepreneurs, investors, business leaders, students, makers and community leaders attended 21 events that showcased why East Tennessee is a great place for entrepreneurs to start and grow a business over the course of 5 days in Knoxville. Jenna Johns with RDI Technologies received the 2017 Innov865 Traction Award, presented by UT Federal Credit Union. Smart RIA’s Mac Bartine won the Startup Day 2017 Judge’s Choice Prize of $10,000, presented by the Innov865 Alliance. 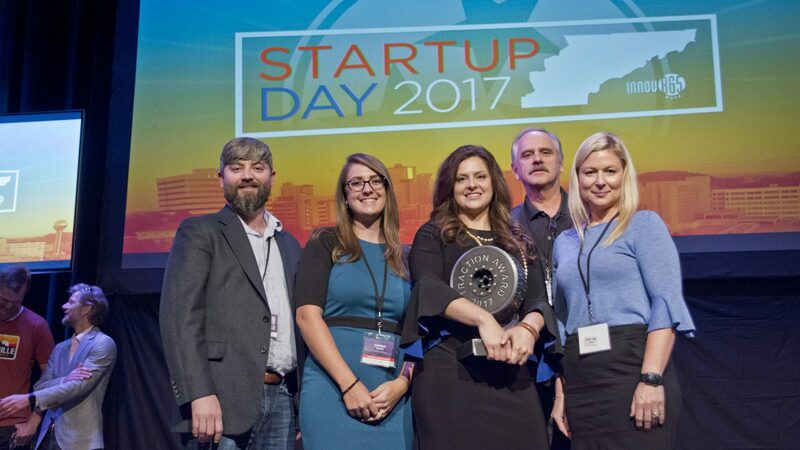 SkyNano Technologies’ Anna Douglas won the Startup Day 2017 Crowd Favorite Prize of $5,000, presented by SunTrust Bank. Social media reach: More than 226 tweets during the time frame leading up to and following Innov865 Week with the hashtag #Innov865, including 647,900 timeline deliveries, 82 contributors and 244,100 individuals receiving timeline deliveries of #Innov865 messages. Innov865 Week was covered by multiple media outlets including Knoxville News-Sentinel, Knoxville Business Journal, Inside of Knoxville, Channel 6 WATE-TV, Volunteer TV WVLT-TV, WBIR-TV 10, NewsTalk 98.7, the Oak Ridger, Startup Southerner, and Teknovation.biz. Produced and coordinated the Elevator Sessions video-series with WATE 6 On Your Side showcasing six East Tennessee startups competing to win up to $15,000 to grow their business. Charlie Brock, CEO of Launch Tennessee and Mark Montgomery, Entrepreneur/Investor/Change Agent discussed Tennessee’s entrepreneurial ecosystem.